Naan is a soft, fermented flatbread which is very popular across India and many countries of the world. Mostly relished with Dal Makhani and luscious curries such as Malai Kofta, it wins hearts with its tender texture. I like eating it with my curries, whereas my kid who is a big fan of Cheese, requests me to make Cheese version for him. Among all the bread that we eat, Roti and Naan are the most popular ones. Roti is usually made for everyday eating whereas it is made for the special meals. Most people eat it only when they go to some restaurant as they think that it is very difficult to make it at home and it needs some special technique or equipment. But, my recipe for making it is very simple, only a basic stove top and a griddle (Tava) are needed to make restaurant style bread. 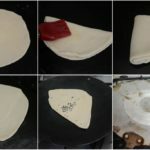 I have included a step-by-step pictorial as well. Do read it and share it with your friends as well! Mix maida, baking soda, baking powder, salt, sugar and yogurt in a bowl. 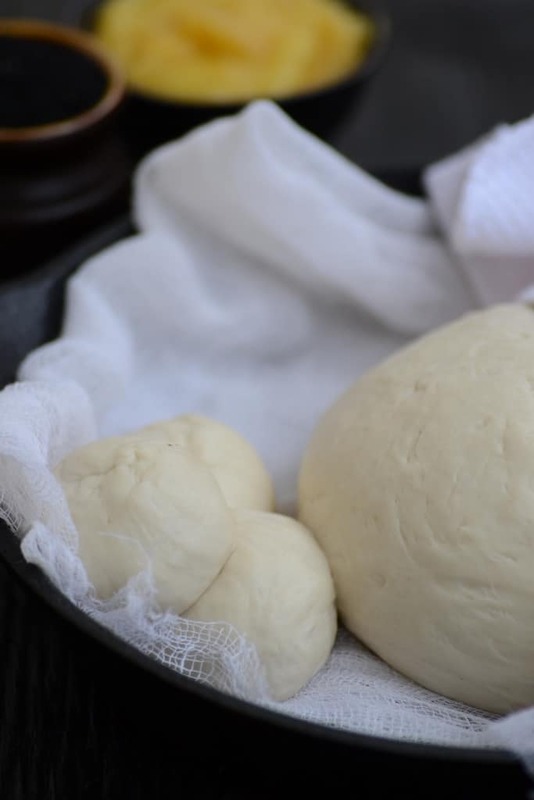 Add milk and knead a soft dough. Oil a bowl and transfer the dough in the oiled bowl. Cover the bowl and keep in a warm place for 1 hour. Dust with maida and roll to make a 4-5 inch circle. Brush the circle with oil. Make the circle into a semicircle. Fold the semicircle into a triangle. Sprinkle little kalaungi seeds on the platform. Dust and roll the dough over the kalaungi seeds to make thin naan. Apply water on the top surface of the naan. 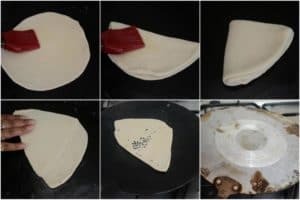 Keep the naan on the griddle with kalaungi side up. The naan will stick to the griddle because of water applied. Now turn the griddle upside down over the flame. Cook till brown spots appear on the naan. 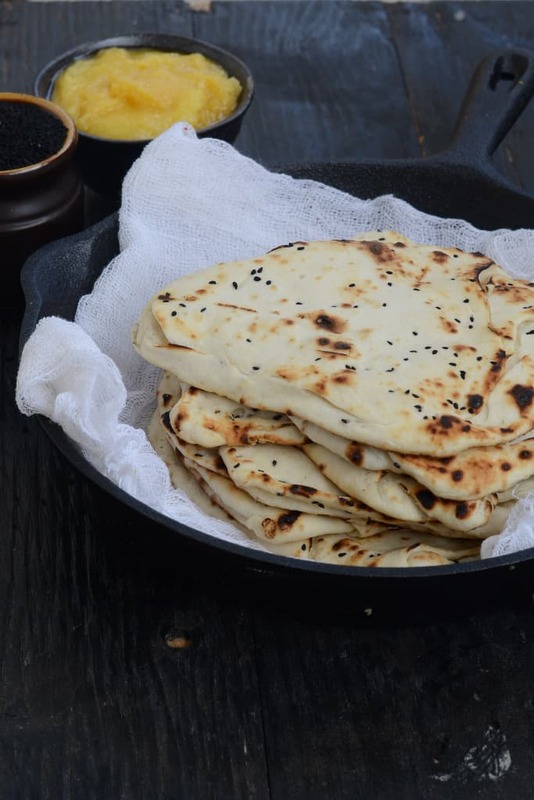 Turn the griddle and cook the naan for 20-30 seconds. 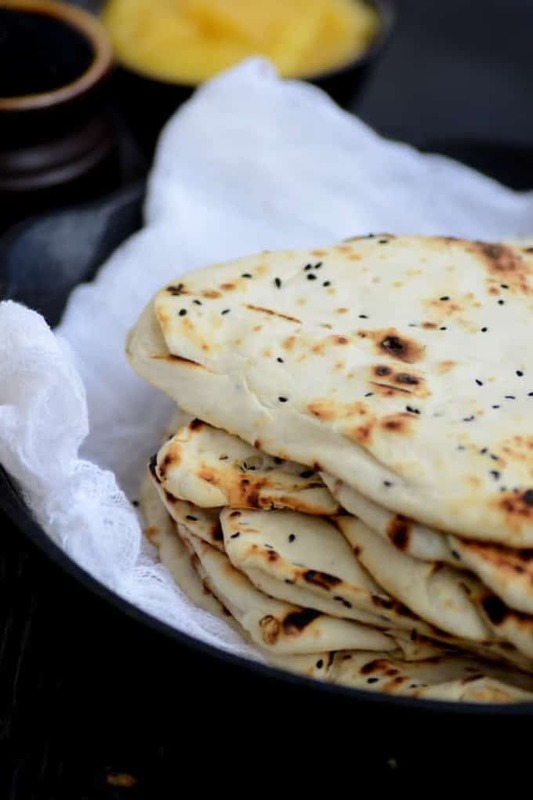 You can make these naans and store in a hot box a few hours prior to eating. 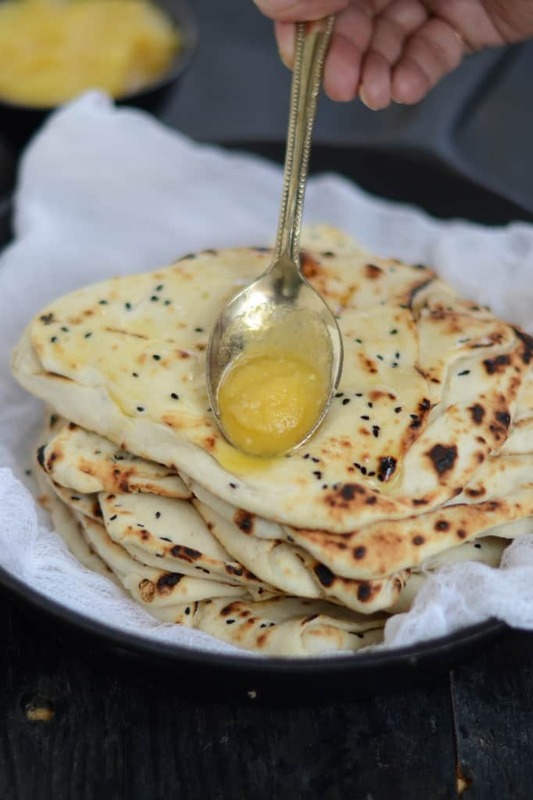 You can use a mix of all purpose flour and wheat flour to make your naan a little healthier. The texture will be little different though. You can skip applying oil in layers and just roll your directly. This will not give layers in between, but the taste will be same. You can roll the naan as thin as you want. Book Marking this one too…..I loved the idea of turning the griddle and cook it…do we have to rest the griddle on another pan?? Looks so good. I am bookmarking to try this once. too good!! definitely to be tried!! and your clicks!! jawdropping ones! well done! I made the naan yesterday and they turned out perfect!! the restaurant naans are so much over rated for me now ! !